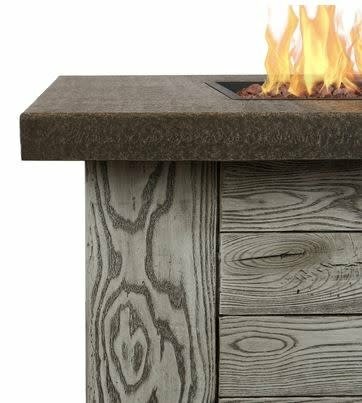 Warm and welcoming, the Forest Ridge Gas Fire Table will make a stunning addition to your outdoor space. 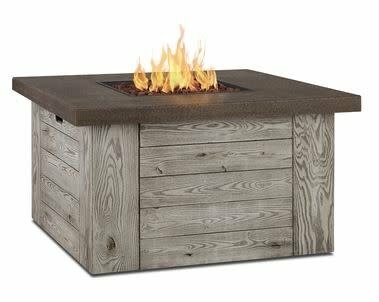 Made from fiber-cast concrete this fire table produces 50,000 BTUs of heat and uses a standard 20lb propane tank (sold separately) that is hidden inside the table. 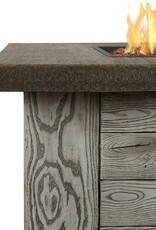 The Forest Ridge includes lava rock, protective cover and Natural Gas conversion kit. 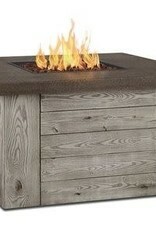 - 50,000 BTU burner. CSA Certified. 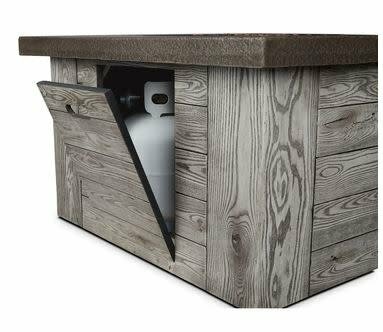 - Includes: Fire table, LP hose and regulator, adjustable feet, lava rock filler, protective cover, electronic ignition and Natural Gas conversion kit. - 1-year limited warranty. Basic assembly required. 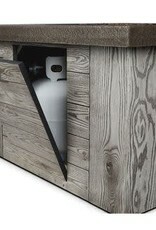 - Must be converted to natural gas by a Certified Gas Technician. An external hose is required for connection to natural gas source.